Ezmeralda Tyke is a diminutive, elf-like creature, infamous across the land for the alleged abduction of one Lillie Poots, age seven and a quarter. So here is the first of my fantasy offerings. 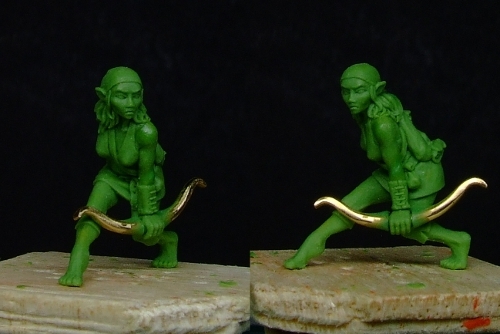 As you can see she measures approximately 20mm to the top of her head as posed, so she's a pretty small elf. If indeed she is an elf. I deliberately didn't make her too pretty, as I wanted something slightly unsettling about her face, though I still think she's a little cutie. Don't tell her that to her face! I'm planning a four figure adventuring party, along with Lillie Poots herself. It might take a while for Ezmeralda to go on sale in metal as I'd like to release the Malinquents as a set, though she'll likely be available in resin before that. 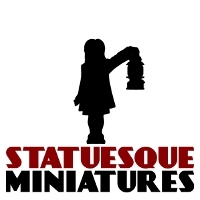 Keep an eye on the Statuesque Miniatures website or the Facebook page for the upcoming figures! Great figure, and I am really looking foreward to the rest of them. wow, i din't expect them so fast! its very nice. I believe a set is a good idea towards the collectors side.